This entry was posted in Performance and tagged Adaptation, As You Like It, Casting, Celia, Film Adaptation, Interracial Cast, Modern on July 28, 2015 by . 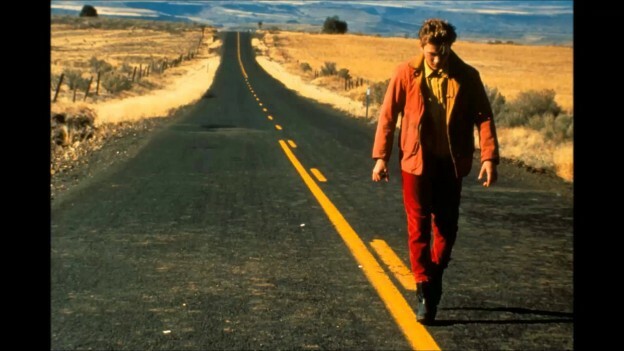 When I had first watched the film My Own Private Idaho (1991), I was unaware of the specific references to Shakespeare’s Henry IV Parts I and II and Henry V. Categorized and hyped as a queer-road-western film by the press, the Shakespearean element was largely overlooked in favor of the then-shocking reality that beloved teen heartthrob and James-Dean-lookalike River Phoenix was portraying a gay street hustler type. Achieving cult status after the untimely and premature death of River Phoenix in October 1993, the film has been ranked and met with critical acclaim by many critics as one of the best films of the 1990s and the best performances actors Keanu Reeves and Phoenix will find in years. The Shakespearean element, rather than taking away from the realistic portrayal of the independent film, actually adds to the picture in how it helps to justify the eccentric art cinema effects and underline the central themes of the film. This entry was posted in Performance, Scholarly Criticism and tagged 1 Henry IV, Adaptation, Falstaff, family, Henry IV, humanity, independentcinema, lgbtq, My Own Private Idaho, queer, queerculture, realism on July 22, 2015 by . This entry was posted in Performance, Scholarly Criticism and tagged A Midsummer NIght's Dream, Adaptation, fairies, Fantasy and Love, Fantasy and Reality, Homoeroticism, Love, love-in-idleness, Sexuality on July 13, 2015 by .